Here, we have a Campbell's Cream of Chicken soup can. The height of this can = 4 in. This can has a circumference of 8.25 in. Please refer to the questions below the pictures. What would the radius of this can be? 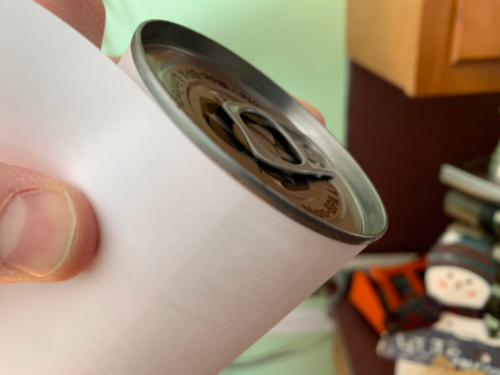 How many square cm of metal is used to make this can? After answering this question, please be sure to answer the questions located below the GeoGebra applet (below). Interact with the GeoGebra applet above for a few minutes. 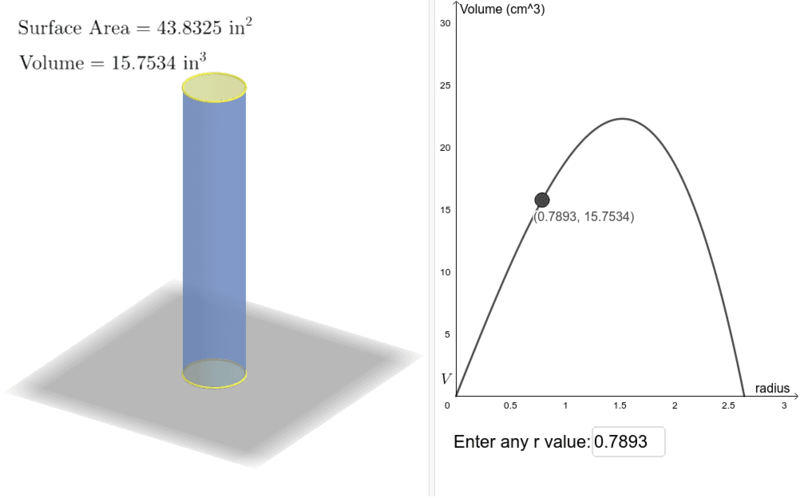 If you drag the point on the right, you'll create various cylinders (on the left) with constant surface area = 43.8325 in^2. Suppose we keep this surface area constant = 43.8325 in^2. 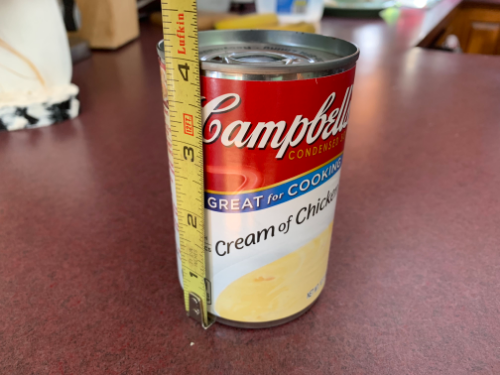 Does Campbell's provide the customer with the greatest amount of soup that can fit inside such a can with fixed total surface area? Explain why or why not. Algebraically determine the value of the radius that maximizes the amount of soup in the can.